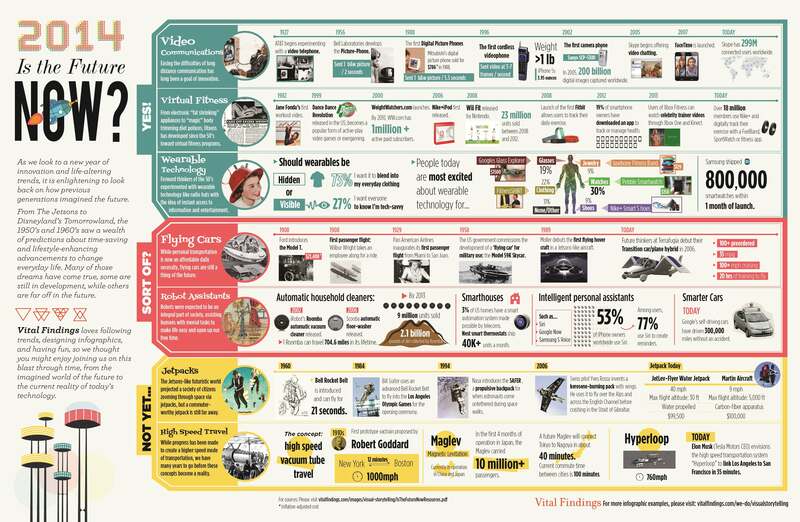 Following the unveiling of a series of weird and wonderful gadgets at the Consumer Electronics Show 2014, Vital Findings has unveiled an infographic to ask if the future really is now. No specific conclusion can be drawn from the infographic, which found in some ways we are (in terms of wearable technology and video communication), but lack of jetpacks let us down. Never mind all that, when will we get expanding instant pizzas like in Back to the Future 2?